The Friends want your ideas! We’re looking for ideas and feedback about the park, and we would be pleased to hear any suggestions for projects the Friends can support. Do get in touch if you would like to become involved, or if you have a project you think we can help with. The Friends of Appley has identified interpretation and information as its first project. 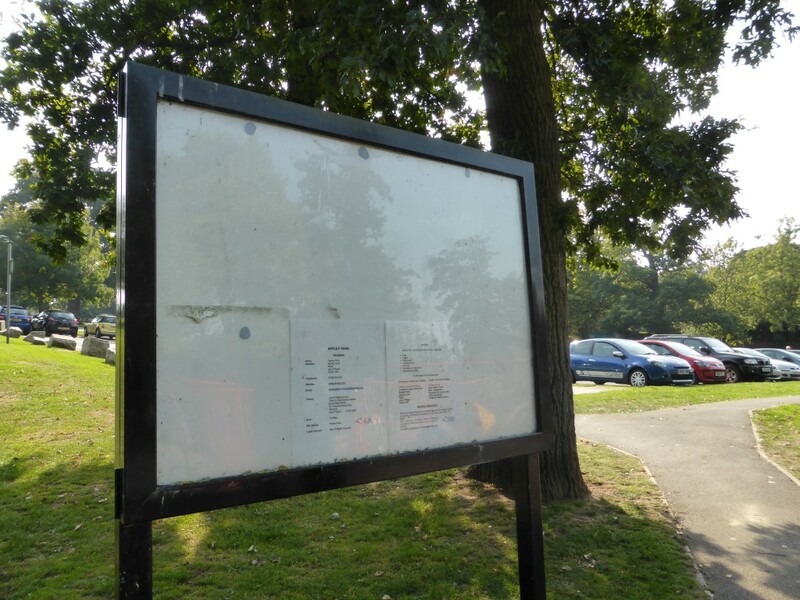 The updating of the existing noticeboards is achievable for a small new group, and will have a visible impact. It leads towards the Friends’ objective of a wider Park Interpretation Strategy. The noticeboards in Appley Park are not all in a good state. We hope to renovate all five noticeboards by making repairs, cleaning and replacing Perspex fronts, hinges etc. A new map of the park will be created. Some boards will also have spaces to be regularly updated, e.g. with events and seasonal information. The project will enhance Appley for all users of the park; local residents and visitors. The new map and boards will help local people to understand and appreciate the park. The Friends anticipate using the map in the future in other ways, e.g. a leaflet or website. Over the next year the Friends will assess the park’s interpretation. For example the existing boards are not sited ideally, and there are some signs that are redundant. The Friends will seek partners for this second phase of the work.